LoA_Enjoy Beach Treasure and Agate Swap! 2.Opening shells costs shell points, which can be bought buy diamonds. And costing 1 shell point will win 10 points. Points can be used to buy items in the points store. 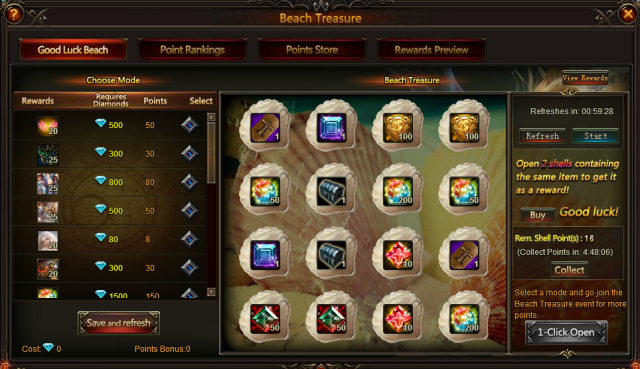 4.There will be two kinds of reward mode, Random Pick and Manual Pick, which can be chosen by yourself. In the Random Pick mode when you open the shells, items appear randomly, while in the Manual Pick mode you can spend diamonds to select items as you like. The shells will refresh each hour. Clearing the cooling down time of refresh costs 100 diamonds in the Random Pick mode, while in the Manual Pick mode need extra diamonds besides the 100 diamonds. 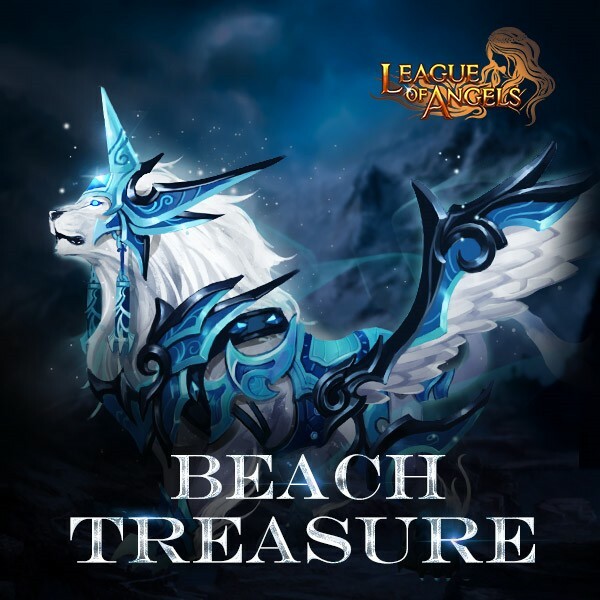 Description: Use the Agate collected in Beach Treasure to swap Celestial King, Mythic Origin Crystal, Perfect Treasure Hunt Chest, and Superior Treasure Hunt Chest. Description: You can get Shell Point Card by consuming certain amount of diamonds. Description: Play Tidal Pool every day to win Shell Point Card, Soulstone, Blessed Stone and many other rare items! More exciting events are coming up through Dec. 17 to Dec. 20, check them out in the in-game How Events menu now!